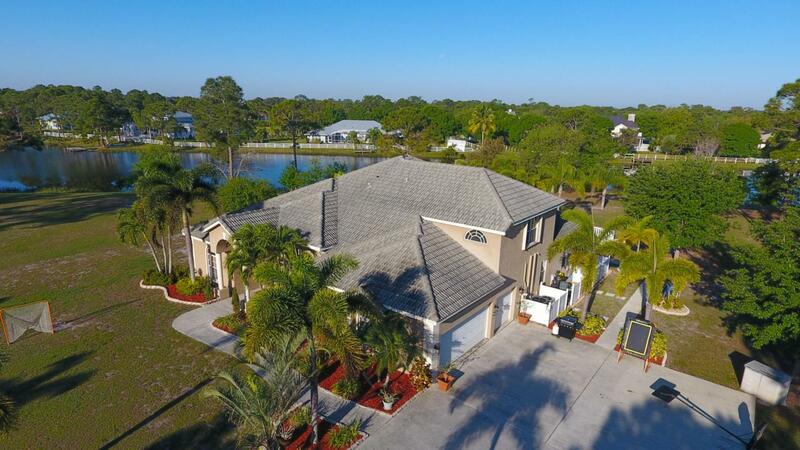 Welcome Home to your very own piece of Paradise!! 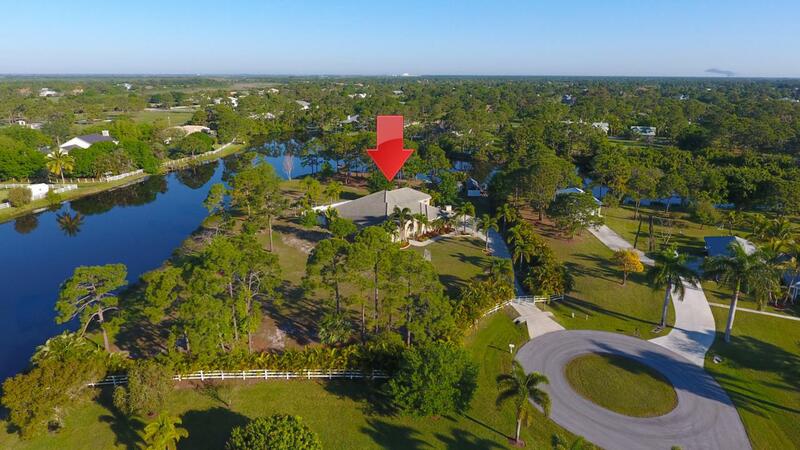 Secluded on a cul-de-sac, surrounded by a serene, peaceful wide water canal! As you enter this home you can see the elegance but yet feel the warmth of a cozy home. 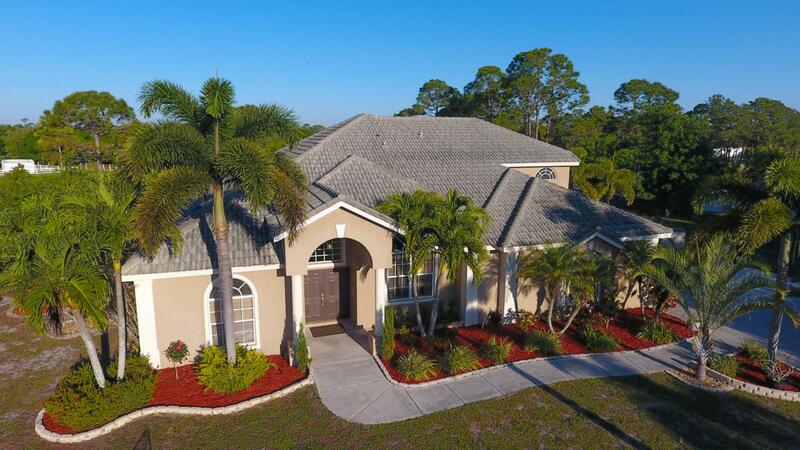 The voluminous tray ceilings in the formal dining room with detailed crown molding is beautiful, this home boasts extra large crown molding throughout, 3 huge bedrooms with 3 full baths downstairs. The spacious master bedroom features double tray ceilings, walk-in closets, open master bathroom with roman tub and walk-in shower. Upstairs, EXTRA Private Room with half bath, easily converted guest room, movie or game room! Kitchen with plenty cabinets, and stainless steel appliances, and much more..Read on,-Screened in Lanai -AC unit 5 ton replaced 5/2018, 2 ton AC unit replaced 3/2019 -Extra space Master for sitting area -An "ON Q" system installed when house was built, owner uses for land line, can connect to other items such as gaming and more. -Meter Main installed by electrician when house was built, can easily add more breakers as needed. -Insulation upgraded to R20 at the time house was built. -Rolls down shades available in enclosed patio area. 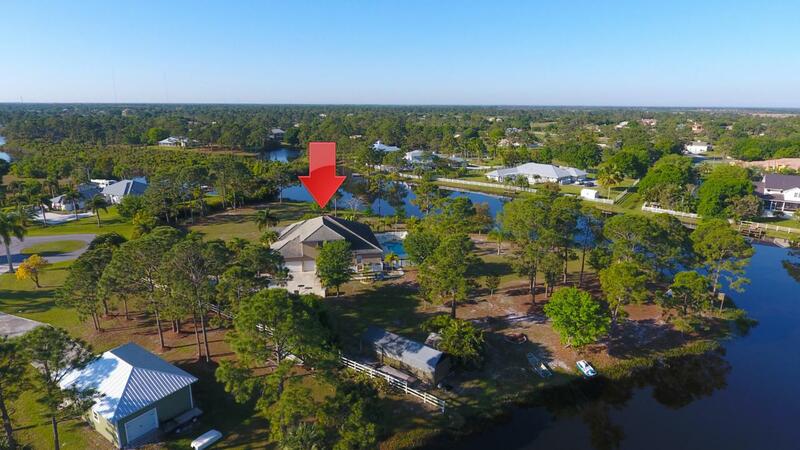 -Outside keypad remote control -Shed, covered area for a boat, -Septic pumped 3/19 -Gulf packages available close by, Fox Club -Bring your RV, Boat, Horses and Family!! Plenty room for all! !